What is in the book of Deuteronomy? How does Deuteronomy help us today? Deuteronomy is primarily speeches by Moses to the second generation of Israel where he rehearses the law covenant. He explains various laws to Israel for how to live in the land of promise as Yahweh’s covenant people. The book also includes enumeration of covenant curses and blessings on the people according to how they keep the covenant. The book ends with Moses viewing the land of Canaan, Joshua being commissioned as the new leader to begin the conquest, and Moses’ death. Deuteronomy is about the one, true God, who made Heaven and earth, and who chose Israel to be his own special people and gave them a land to be possessed, revealing himself through his law and covenant and his sovereign acts in history to fulfill the promises he made to their fathers to bring them to the land and to bless the nations through them. Understanding Deuteronomy helps us see the unconditional election and love of God. The book points us away form idolatry and making images of God. If we want to see what God looks like, we don’t look to wood, stone, or gold, but rather we are to look to his law. Deuteronomy helps us see that our hearts are depraved just like Israel’s hearts were and that we rebel just like they did. The answer is the same for us: we must receive a new heart given us by God. Deuteronomy also gives us hope today as we consider God foretelling Israel’s rebellion and their being scattered from the land and God’s promise to gather and restore them. We can rejoice knowing the prophet greater than Moses did rise up—Jesus Christ who kept God’s covenant perfectly and took on himself the curses of disobedience in order to bring the blessings of the covenant upon all who repent of their sin and believe in him. What is the book of Joshua about? Joshua recounts the history of the conquest of Canaan. Joshua leads the second generation of Isrealites into the promised land. The book has a number of familiar accounts—Rahab and the spies, the battle of Jericho, sin in the camp and the death of Achan. The book tells of the deception by the Gibeonites and how they remained in the land. Joshua tells of the battle with ten kings at Gibeon and the sun standing still to give Joshua the victory. The book also recounts the dividing of the land, the renewal of the covenant, and the death of Joshua. The book of Joshua is about God glorifying himself through bringing judgment on the idolatrous nations of Canaan and faithfully fulfilling his promises to Israel. God is especially revealed as the God who fights for his people and brings them rest. 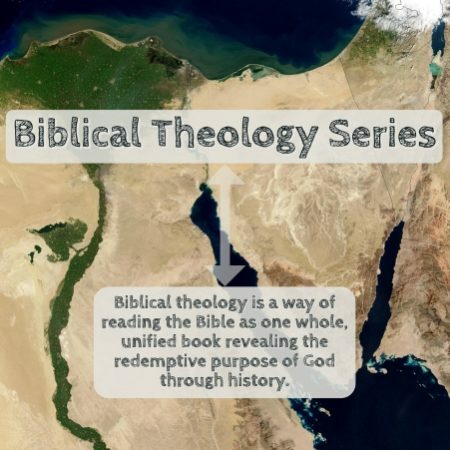 This lesson looks at the whole book of Joshua. We will consider the contents of the book, along with major themes and practical applications to modern readers. We will focus on what the book reveals about Christ and his kingdom and how it fits into the Bible’s main story. Joshua is the first book of the historical books in the Old Testament. There are twelve historical books, beginning with Joshua and going through Esther. Joshua begins where Deuteronomy ended with Israel in the plains of Moab, set to enter Canaan. The book is mostly historical narrative, telling what happened with Israel. The people of Israel crossed the Jordan River and began the conquest with the city of Jericho. The conquest begins in an unusual way as they marched around the city once a day for six days. On the seventh day, they marched around the city seven times and the priests blew trumpets and the people shouted. The walls of the city then fell down and they entered and capture the city. Rahab and all her house were saved because the promise the spies made to her. Fresh from the victory at Jericho, Israel fails to take the small city of Ai, because sin is in the camp. Achan took some gold, silver, and clothes from Jericho and hid them in his tent. Achan is ultimately found out and confesses his sin before the people. He and his family are stoned by the people of Israel in the valley of Achor and their bodies are burned. After putting away sin from among them, they are able to take Ai and continue the conquest. Joshua took Israel on a long northward march to the mountains of Gerizim and Ebal for a covenant renewal. After this, they return south to Canaan to continue the conquest. They conquered from North to South, though they didn’t completely drive out all the nations. The second half of the book recounts how the land of Canaan was divided up among the tribes of Israel. The book ends similarly to Deuteronomy with a rehearsal of Israel’s history, covenant renewal, and the death of the leader, Joshua. The form of Joshua is primarily historical narrative in relating events, but it also contains theological commentary giving explanation for why these events happened. A major theme in these events is God’s faithfulness to fulfill his promises (Joshua 21:43-45; 23:14), particularly his promises to Abraham (Genesis 13:15) and Moses (Exodus 3:8). The theme is evident in events such as the memorial at Gilgal after crossing the Jordan River (Joshua 4:17-24). God has worked that Israel might fear the Lord and that all the earth might know the hand of the Lord (Joshua 3:11, 13; 7:9). Though it may seem incidental, this theme runs through the account of the burial of Joseph’s bones (Joshua 24:32; Genesis 50:24-26). The fulfillment of promises in Joshua is a foretaste of ultimate fulfillment. Obedience meant they would stay in the land (Joshua 23:1-11) and disobedience meant they would be scattered from off the land (Joshua 23:12-16). Their failure of disobedience was foretold along with their scattering and future restoration before they even entered the land (Deuteronomy 30:1-10). The book of Joshua makes clear that God is fighting for his people and his presence is why they gained victory. This theme in Joshua begins with the pre-incarnate appearance of Jesus in Joshua 5:13-15. The unusual, and unlikely, victory over Jericho continues the theme. Even in their defeats, this theme is made apparent, as in their defeat at Ai. God’s presence as the victory for Israel was also illustrated in the battle with the ten kings, when the sun stood still to ensure the victory. Joshua has no specific messianic prophecies, but it does contribute to the expectation of the Messiah and his kingdom. The book ends with some Canaanites still in the land, Joshua’s death, and no leader commissioned to replace him and drive out all their enemies. That unresolved tension calls for the messianic expectation of a leader who would defeat and drive out all their enemies and keep them in obedience so they would dwell in the land forever. Aside from the unstated expectation, Joshua has repeated references to the land. The land is the place of blessing and the place of God’s rule, his kingdom. The land was their possession because of God’s covenant with Abraham (Genesis 12:7; 13:14-17; 15:18; 17:7-8; 24:7), which he affirmed to Isaac (Genesis 26:3-4) and to Jacob (Genesis 28:4, 13; 35:12; 48:4). Joshua and Israel failed to fully drive out their enemies (Joshua 23:11-13) and this foreshadows their scattering and the need for the King to establish his kingdom in the land as an everlasting kingdom through the new covenant (Jeremiah 23:5; 30:3; 31:31-40; 32:36-44; 33:14-16; Ezekiel 37:15-28). Only the coming King will reign in righteousness and secure everlasting peace and possession for the descendants of Abraham and the Gentiles who turn to him in faith. How does the book of Joshua apply to readers today? We can take the charge to Joshua in Joshua 1:1-9 and be personally exhorted to have courage and to trust in God. From the book, we find this means to walk in his ways and honor him. Though we are not Israel today, we do receive blessings in Christ’s kingdom according to his promises to Abraham (Luke 13:28-30). Israel is set aside for a time and we are grafted in. They will be regathered and restored and we will be with them in the kingdom of Christ, so we certainly have interest in the faithfulness of God to his promises to Israel. The battle of Jericho encourages us to keep God’s word no matter how odd it may seem. God’s word is out of step with conventional worldly wisdom and might even seem strange at times to believers. Nevertheless, we are to follow and keep his word always. Understanding Joshua helps us to God is in control over history to accomplish his purpose. He employs the means of men and nations, but he is not limited by them. Even when men fail, God’s purpose succeeds. Joshua recounts the history of the conquest of Canaan and God’s judgment on the Canaanite nations served as a reminder to Israel to keep his covenant lest his judgment falls upon them. Men fall short, but God remains faithful.